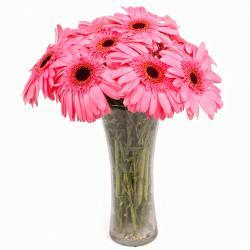 Product Consist : 10 Multi Color Gerberas with green fillers in Tissue Wrapping with Ribbon Bow on it. 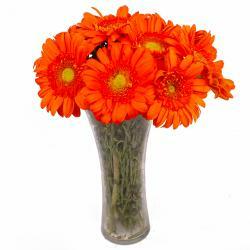 Surprise your better half pleasantly with this bunch of Multi Color Gerberas Bloomed fully, these flowers look stunning and will definitely brighten up his/her day. 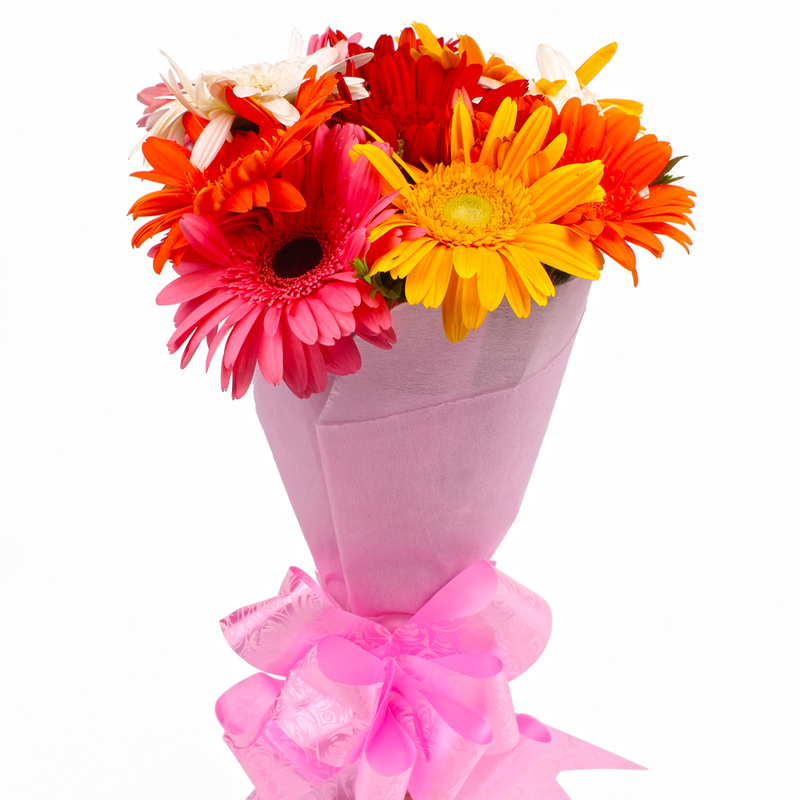 These Gerberas are wrapped in Tissue paper. 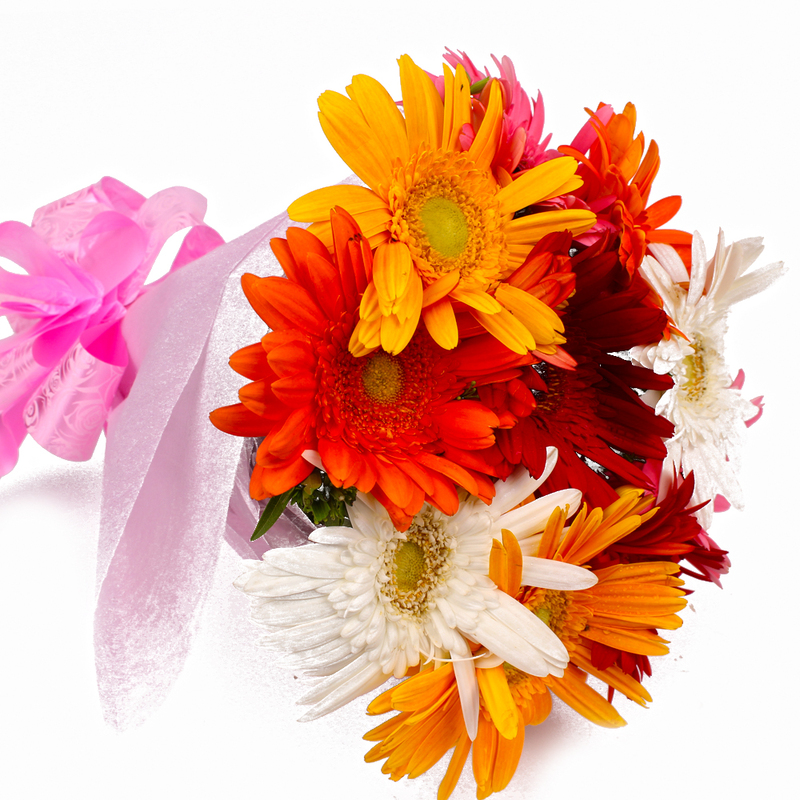 They have a matching ribbon tied around them to complete their look and hold the flowers together. 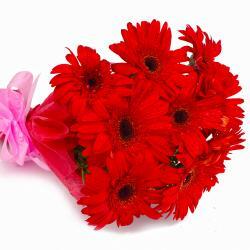 You can also gift this bouquet to your loved ones on their Anniversary, Bachelorette Party, Farewell Party, Graduation Ceremony, Hen Party or birthday even. It is both heartwarming and elegant. 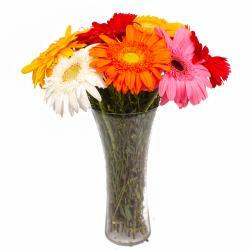 Product contains : 10 Multi Color Gerberas with green fillers in Tissue Wrapping with Ribbon Bow on it.